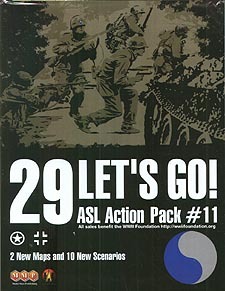 ASL: Action Pack 11 29 Let's Go! Designed for the aficionado, Action Pack #11: 29 Let's Go! is not a complete product and assumes the buyer owns the core Advanced Squad Leader game system.